On June 25th, the European Union (EU) applied sanctions against eleven members of Nicolás Maduro’s administration, such as the Vice President of Venezuela, Delcy Rodríguez, and the new head of the Sectoral Economy Vice-Presidency, Tareck el Aissami, for considering them responsible for undermining the Venezuelan democracy after the criticized May 20th presidential elections. In addition, the public officials are accused of violating human rights. The Bolivarian government issued a statement rejecting the sanctions. The sanctioned public officials can no longer travel to the EU and the assets they have there are frozen. 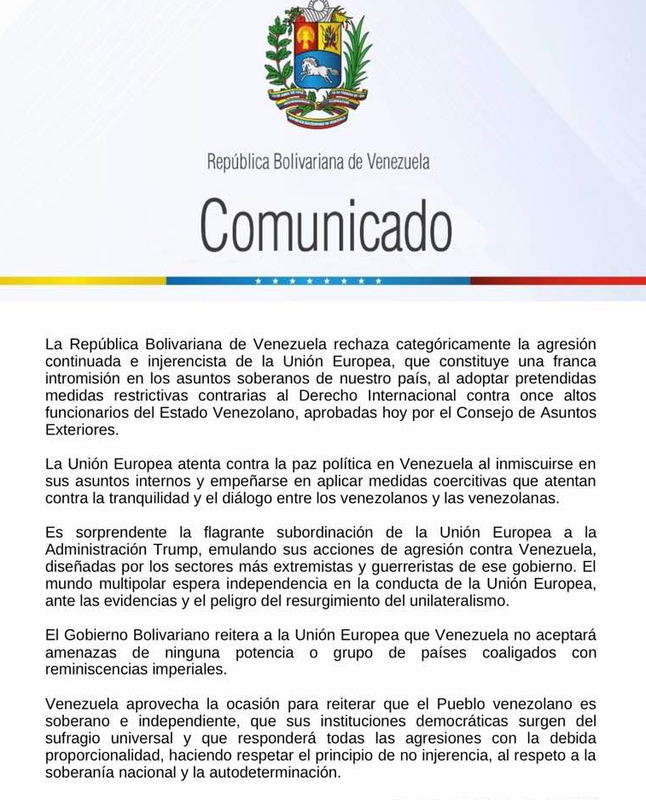 In this regard, the Venezuelan Ministry of Foreign Affairs rejects “the continued aggression of the EU as it is an attack on our sovereignty”. Diosdado Cabello, the president of the National Constituent Assembly (ANC), considers that the measures are illegal and immoral and constitute an “attack against the Venezuelan people”. Xavier Antonio Moreno, general secretary of the CNE.